David Parkinson is a professional researcher, working in the fields of theoretical astrophysics and cosmology. He travels quite a lot, and occasionally does research. 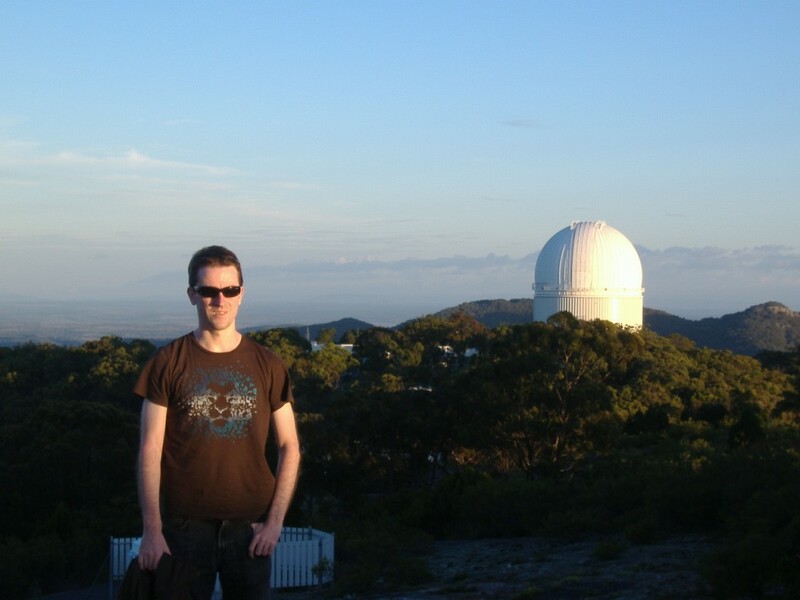 David at the Anglo-Australian Telescope, Siding Spring Observatory, near Coonabarabran NSW, Australia.